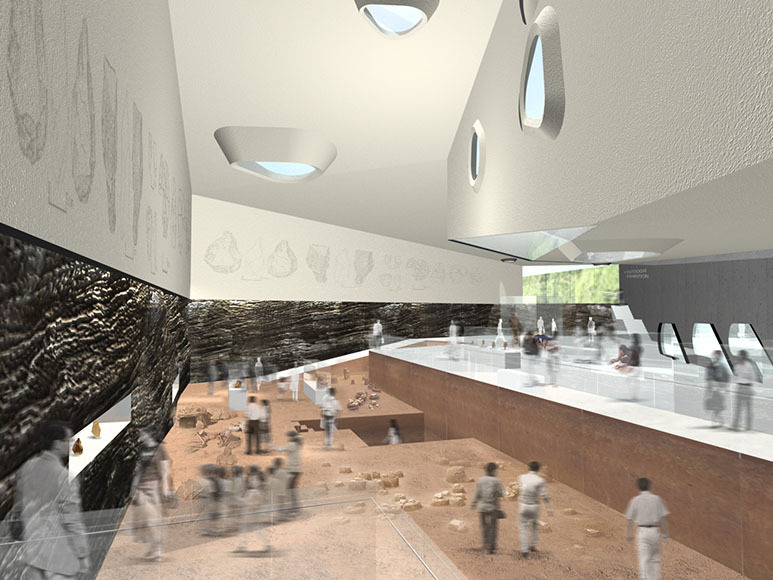 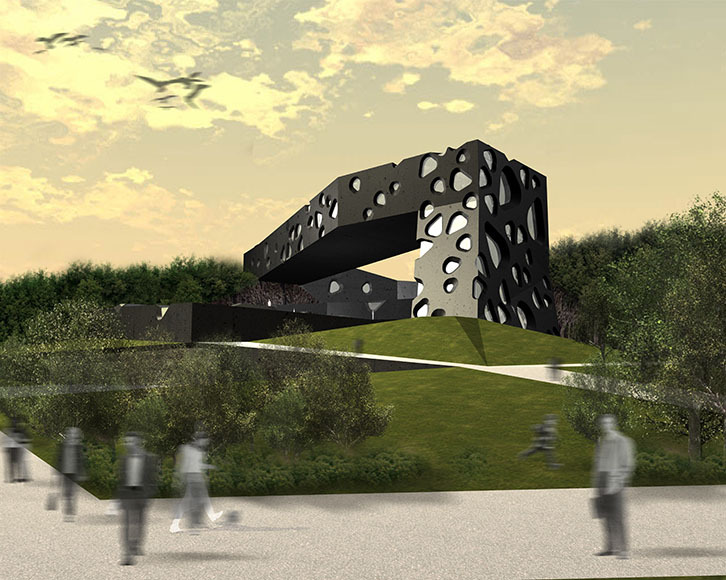 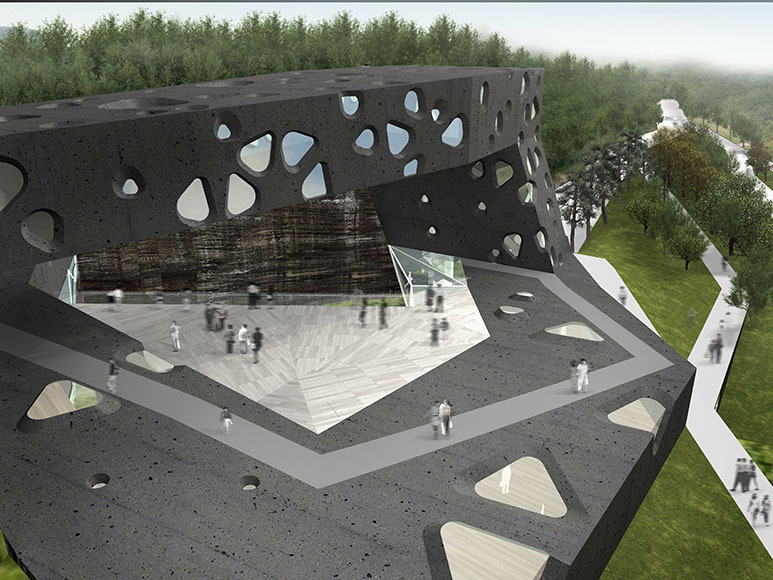 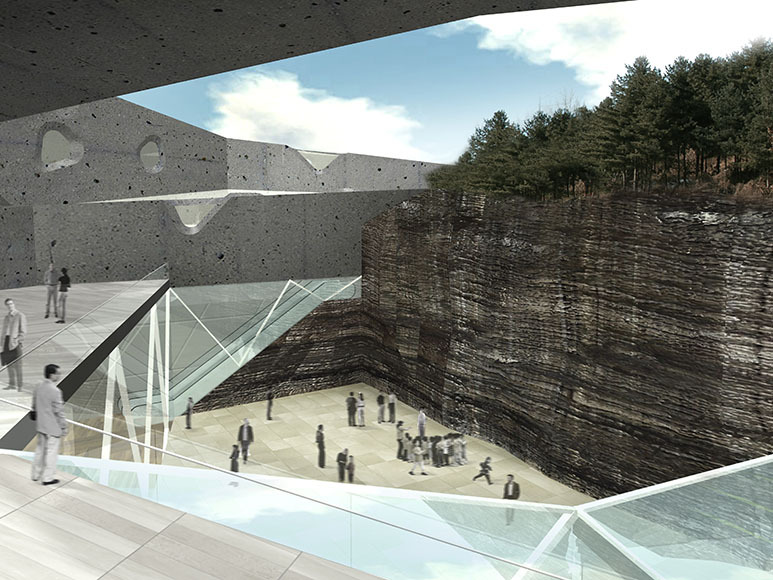 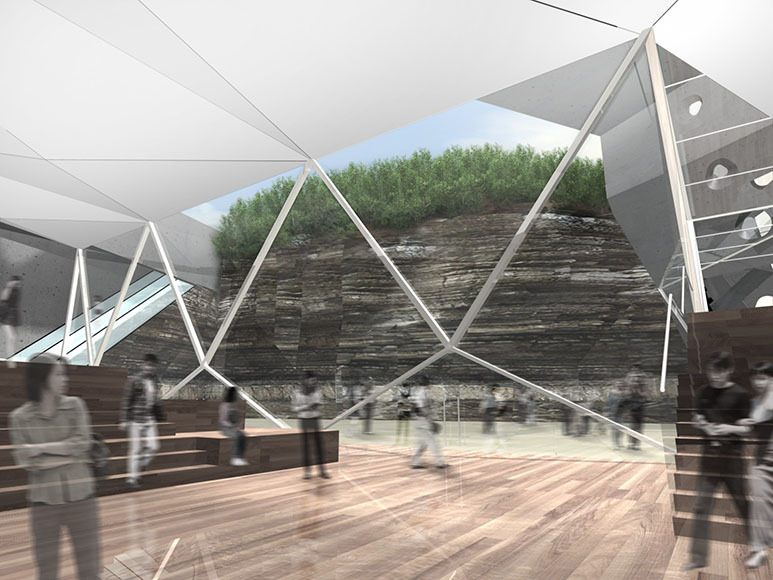 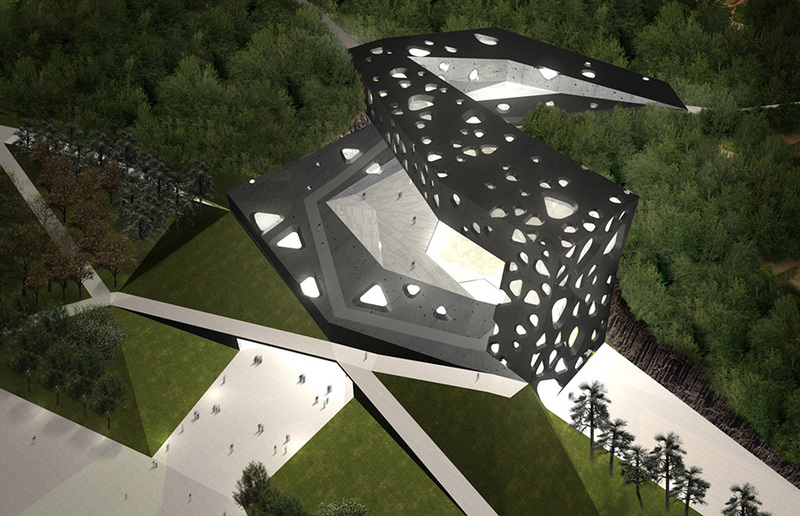 The fundamental idea for the Jeongokri Prehistory Museum is the creation of a building fabric that provides exhibition spaces at the same time as connecting to the scattered outdoor programs across the whole of the prehistoric site by forming a programmatic ‘knot’. 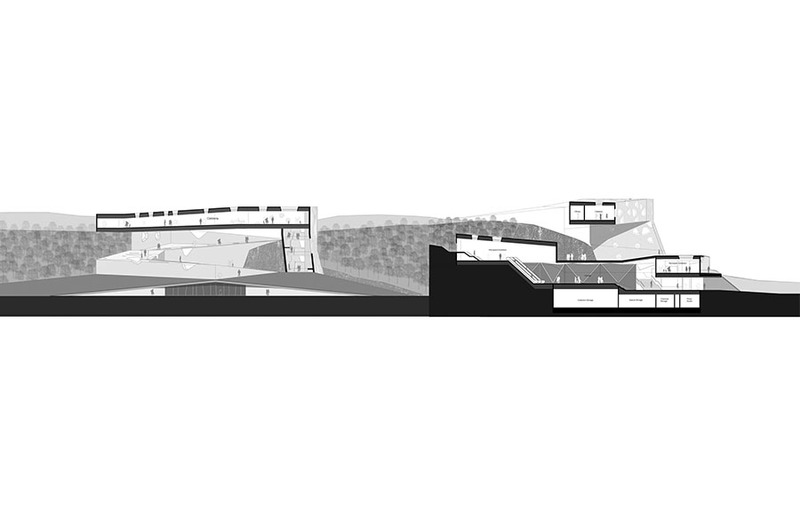 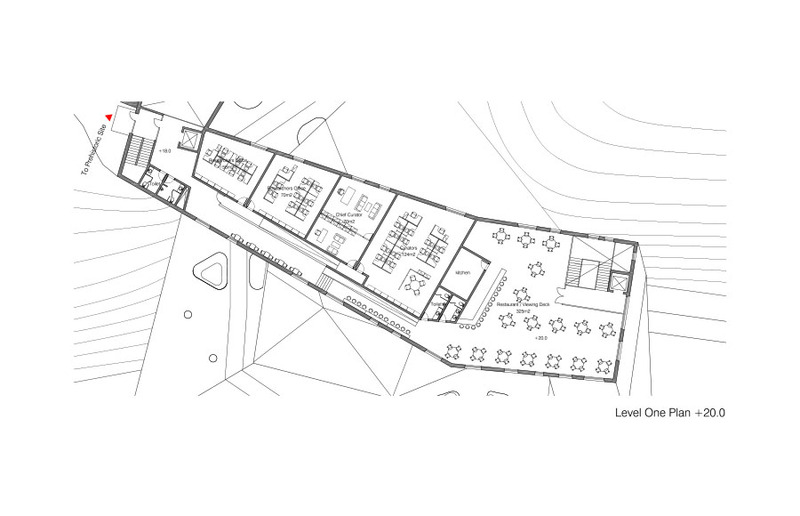 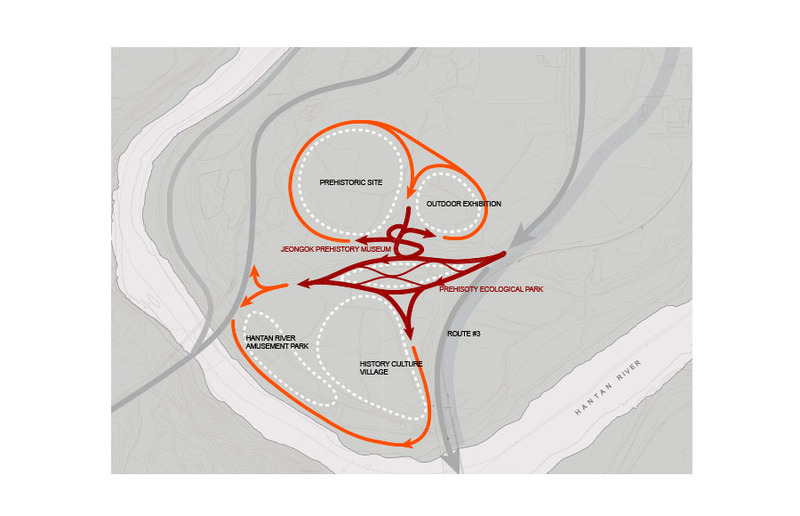 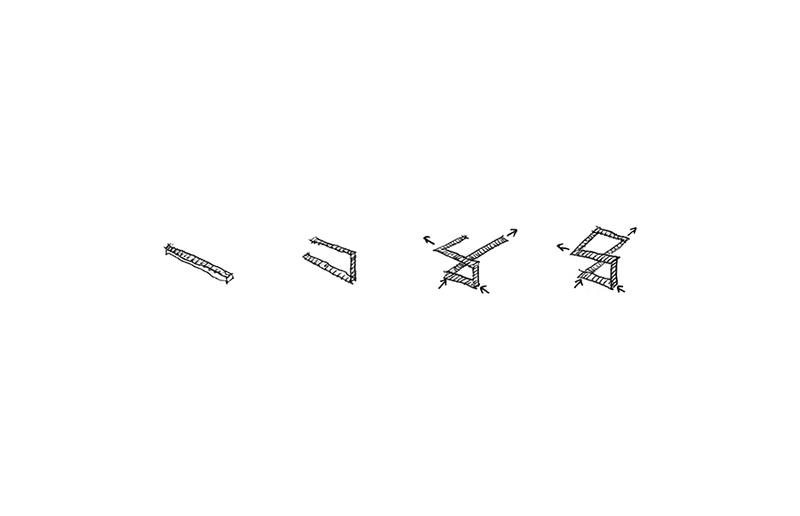 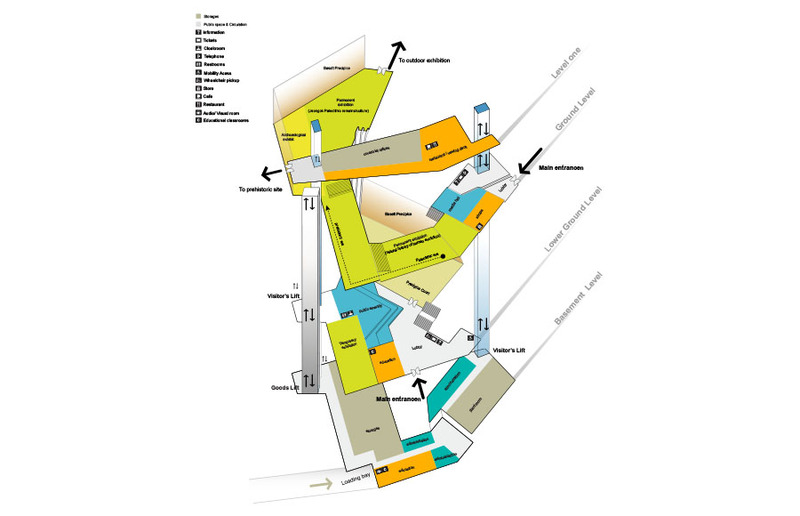 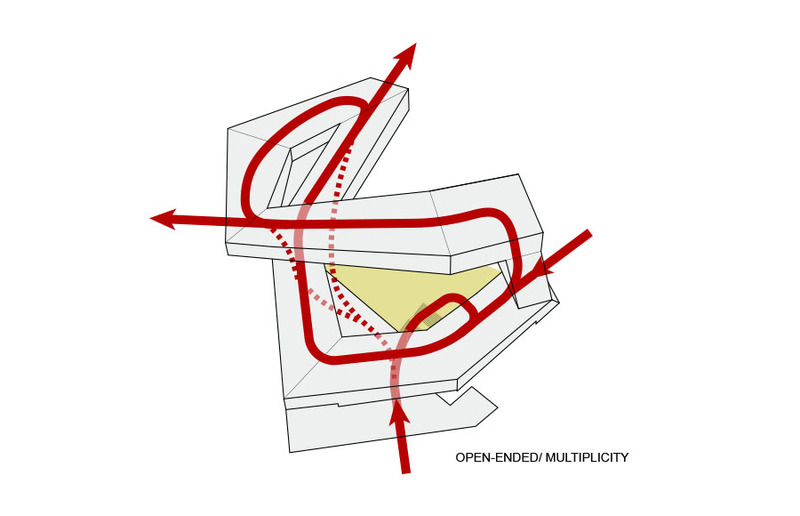 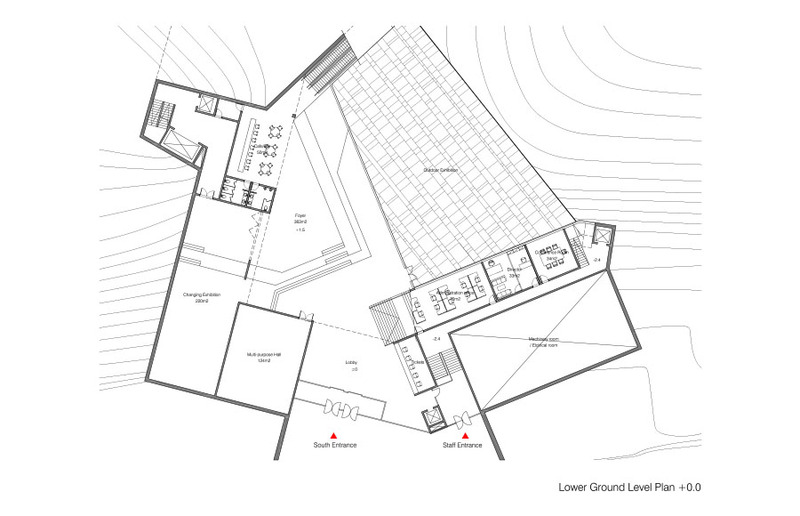 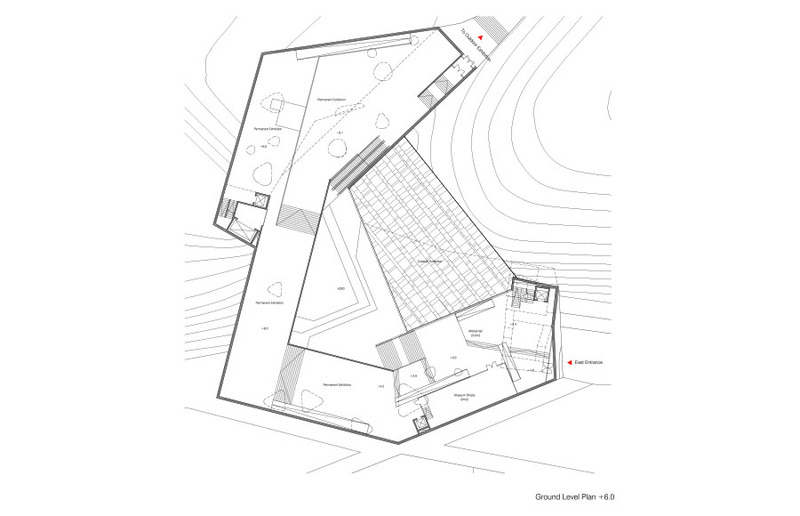 The organisation of the museum aims to dissolve the traditional boundaries between the exhibition spaces and the rest of the site by creating multiple points of connection to circuit loops around each outdoor programme. 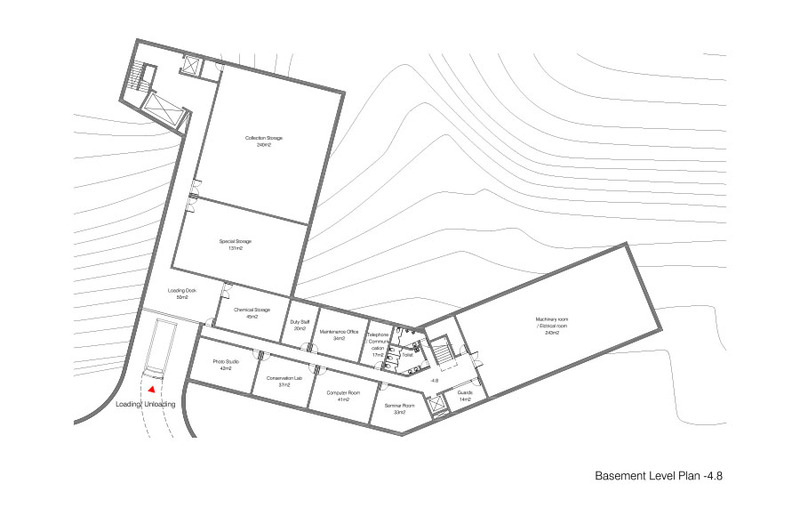 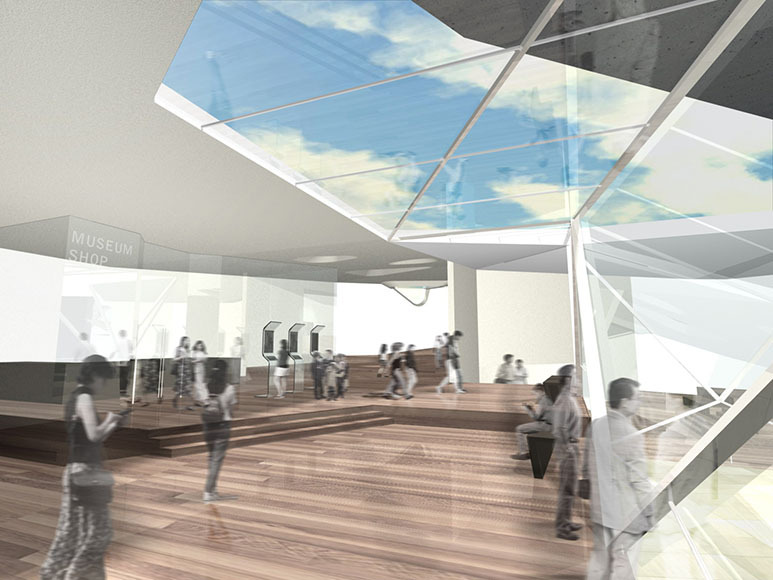 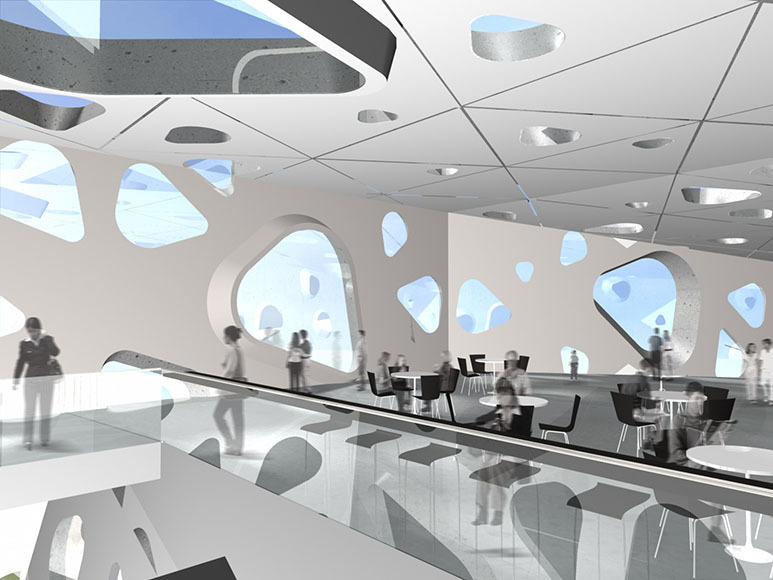 Thus the museum becomes a place for the interchange of people, experience and information. 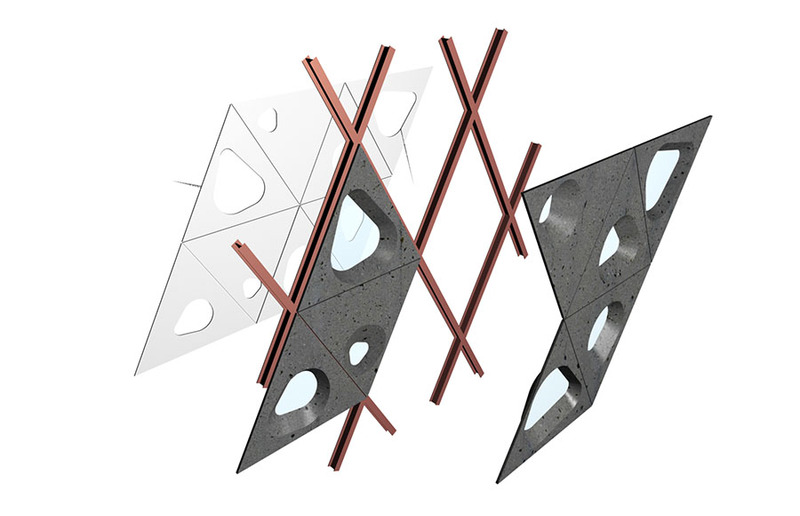 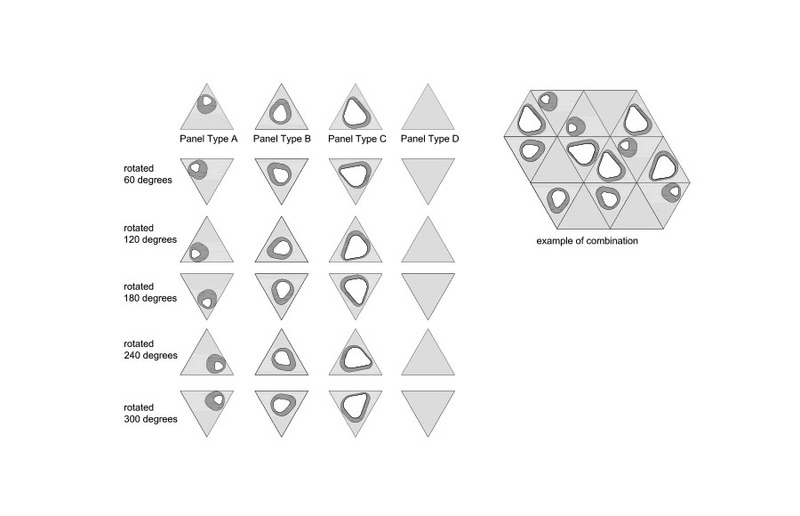 The twisted ‘figure-of-eight’ structure of the LITHIC KNOT is intended to evoke the crude ‘post and lintel’ architecture of the stone age, albeit with modern systems of construction and materials.